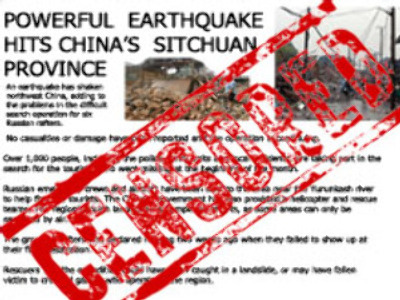 Various methods of keeping earthquake information confidential were on the agenda on April 28, two weeks before horrific earthquake in Sichuan province. The country’s deadliest earthquake in 32 years claimed the lives of 65,000 people, with 23,000 missing. Its aftershocks are still claiming lives, injuring people and damaging houses.